Seychelles, an archipelago in the Indian Ocean comprising 115 islands, is all set to take its waste management to the next level. 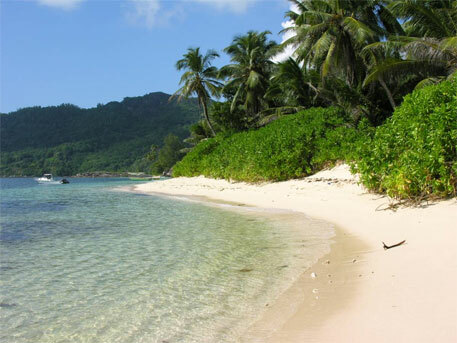 The archipelago’s Public Utilities Company (PUC) is aiming at a sanitation master plan in the coming years to ensure proper disposal of waste across the three main populated islands of Mahe, Praslin and La Digue, reports Seychelles News Agency (SNA). Currently, the island nation has a central sewage treatment system that covers homes in the capital of Victoria, Beau Vallon in the northern region of Mahe and part of Mahe’s east coast. But this arrangement is limited to low-lying areas. PUC, however, feels that Mahe’s east coast needs an urgent solution. In the event of heavy rainfall, as witnessed during early 2013, the east coast gets flooded as the water table is only around 50 centimetres high. This often leads to malfunctioning of septic tanks and damage to buildings, which requires reconstruction of infrastructure. “We need a fast-track solution for Mahe’s east coast. We cannot wait for the master plan,” PUC chief executive officer Philip Morin told SNA. The upgrading of east Mahe’s sewage system will require installation of new pipes or drains, collection points, pumping stations and treatment plan. Although residents are worried about the discharge of wastewater from the proposed plant into a nearby marsh, Morin assures them that the plant will be designed in a way that wastewater can be recycled. He told SNA that the concept of waste from sewerage treatment plans will change with the launch of the sanitation master plan. Under this, PUC aims to connect premises on higher grounds with the central sewage treatment system. Morin notes that PUC is awaiting inputs on feasibility and design of the new plant which is expected to complete this month. Once this is finalised, the company will seek funds for the project, which is expected to come from African Water Facility of the African Development Bank. “In the past, the approach towards sewage was that it is waste that we need to get rid of. In the future, we shall look upon it as a resource since wastewater coming from treatment plants will be considered good and clean enough for irrigation and construction,” Morin added.